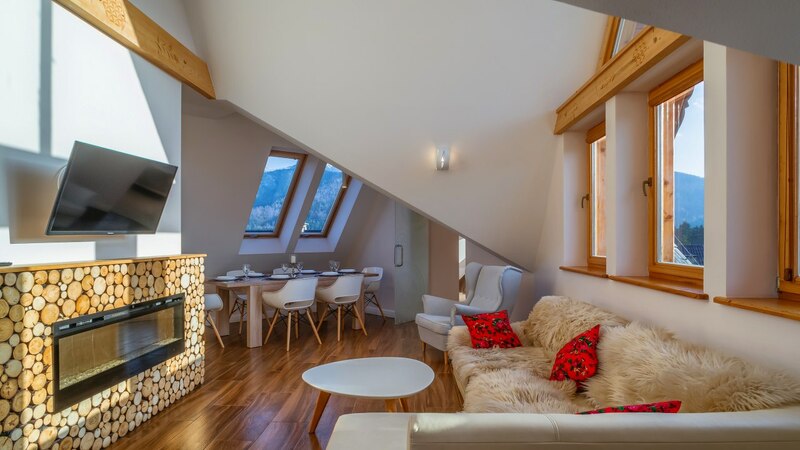 In our offer we have three buildings: Aparthotel Delta Zakopane, Aparthotel Delta Boutique and Aparthotel Delta Białka Tatrzańska situated in the most spectacular place at the foot of the Tatra Mountain. 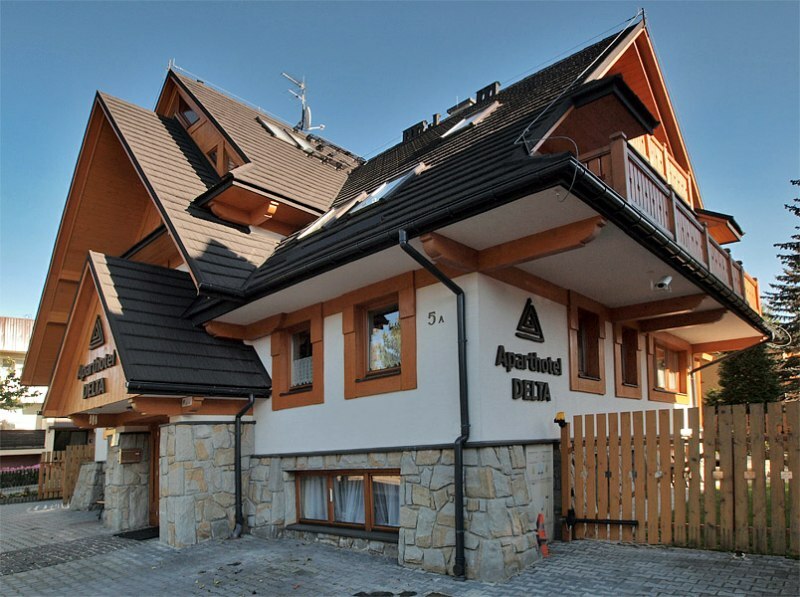 Aparthotel Delta Zakopane is complex of two buildings: Delta Park and Delta Garden located in center Zakopane, only 200 m from main street - “Krupówki”! It is situating in quiet street, thus Guests can rest form noisy city, admire the beauty of the mountains through their windows. Comfortable , cozy and fully equipment rooms and suite satisfy expectations the most exacting Guests. In summer: garden with place to barbecue, beach chair and playground for children make your stay more attractive. Price include delicious breakfast. 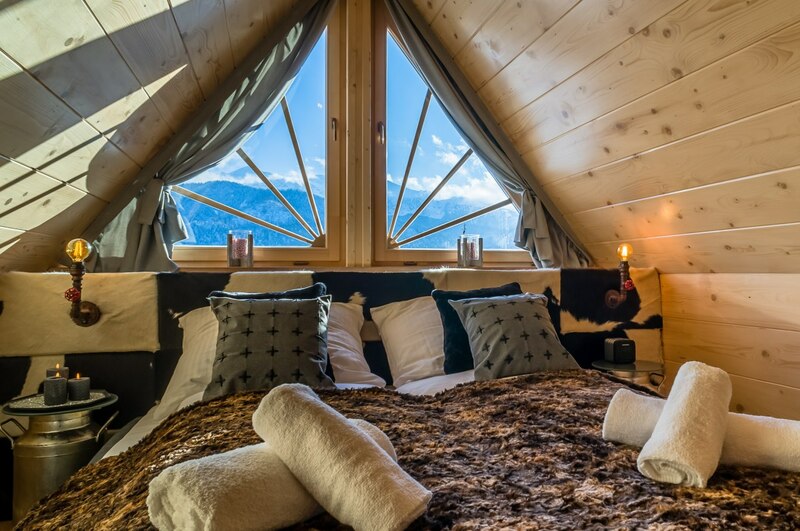 Additional: sauna, monitored parking, place for ski. Aparthotel Delta Boutique is a complex consisting of 2 buildings: Aparthotel and Residence, which architecture is designed and finished in a modern style with a highlander touch. Aparthotel, lie in the picturesque area of Zakopane, just 3 km away from Krupówki Street and 1,5 km away from the thermal baths and ski station of Szymoszkowa. In apartments we tried to maintain the character of the architecture of Zakopane which is harmoniously combined with the modern finish. 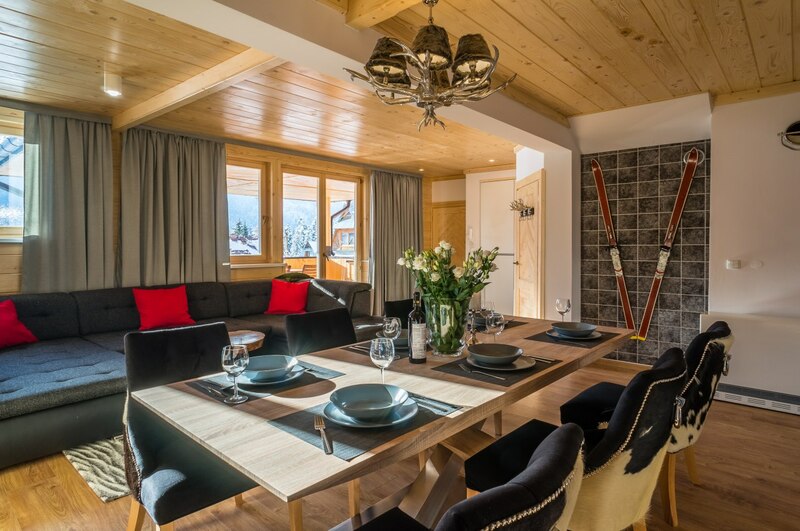 Building have 22 fully furnished, exclusive apartments with balcony or terrace, where you can admire charming scenery of the Tatras’. At your disposal we’re also provide a sauna and a jacuzzi, an outdoor swimming pool (in the summer) a playground for children, a garden with a place to relax and a monitored parking. 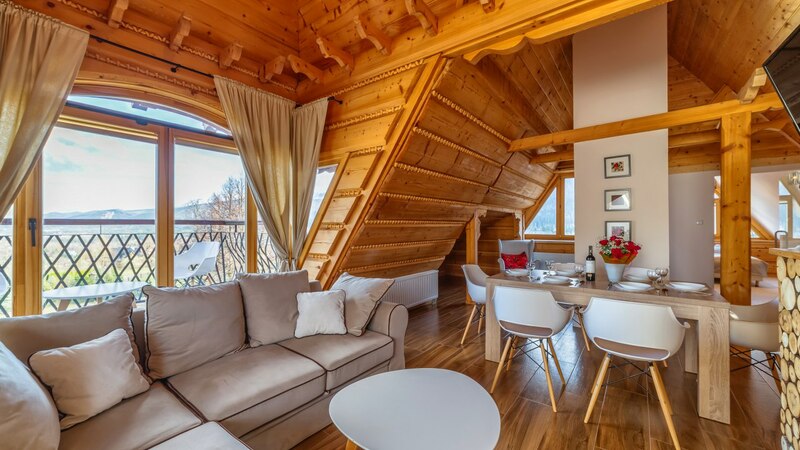 In Zakopane we also offer independent apartments for people who appreciate both the beauty of nature and the location close to the center. We invite you also to visit our exclusive Aparthotel Delta in Białka Tatrzańska is located on the hillside Kaniówka, very close to Thermal baths Bania. We do hope that staying with us will leave you with unforgettable experience and make you visit us again. 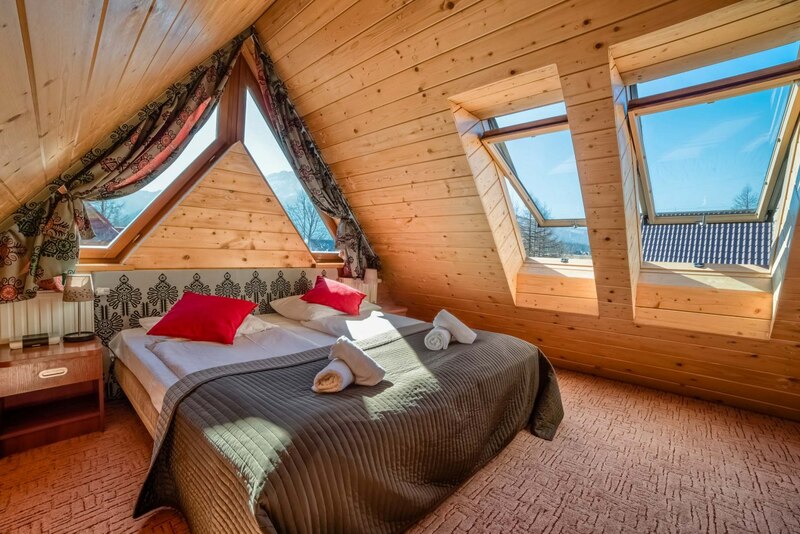 We offer three facilities: Aparthotel Delta Center, Aparthotel Delta Boutique and Aparthotel Delta Białka Tatrzańska located in the most charming places at the foot of the Tatra Mountains. 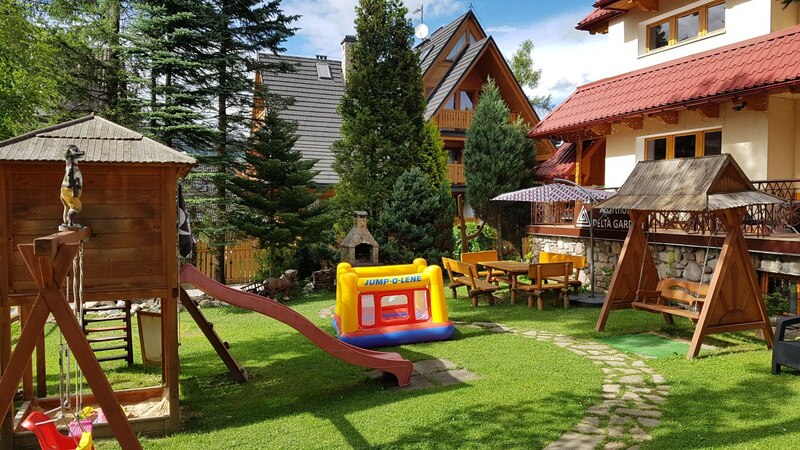 Aparthotel Delta Center is a complex consisting of two buildings: Park and Garden located in the very center of Zakopane, only 200 m from the main, most famous promenade - &quot;Krupówki&quot;! 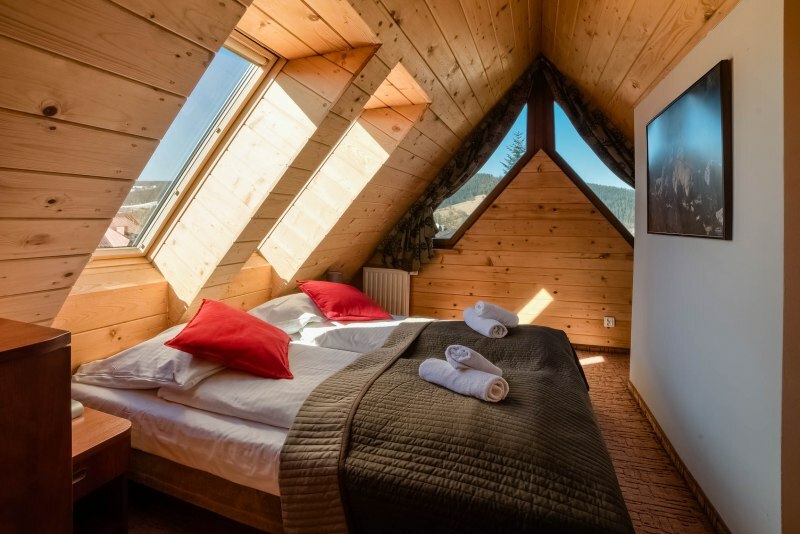 It is located on a quiet street so that guests can relax from the hustle and bustle of the city, admire the beauty of the mountains from the windows of the rooms, whenever they desire to feel the unique atmosphere of the Tatra Mountains. Comfortable, cozy and fully equipped rooms and apartments will meet the expectations of the most demanding Guests. In summer, a garden with a barbecue area, deckchairs and a playground for children will make your stay more attractive. A delicious breakfast is included in the price. Additionally: monitored parking, ski room. Aparthotel Delta Boutique is located in a picturesque area of ​​Zakopane, just 3 km from ul. Krupówki and 1.5 km from the thermal bath and Szymoszkowa ski station. Opening promotions !!! 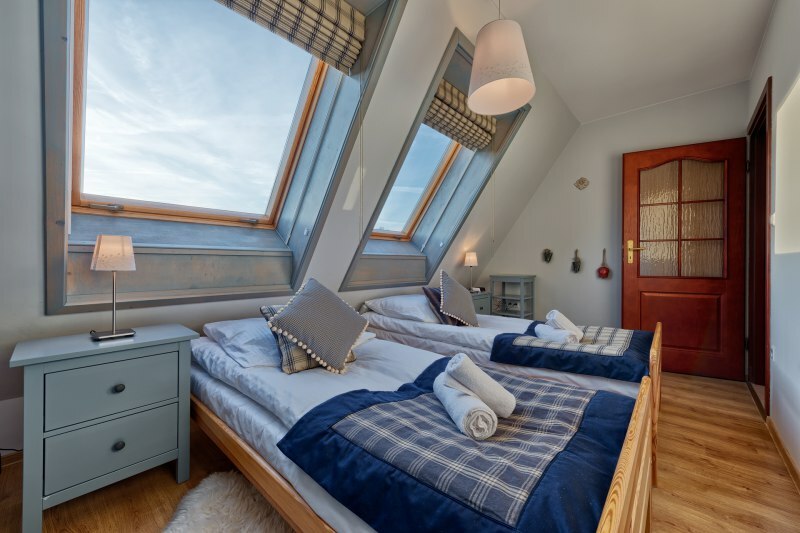 Call tel: 881 777 133 e-mail: boutique@aparthoteldelta.pl Aparthotel Delta Boutique is a complex of two buildings: the Aparthotel and the Residence, which have been designed and finished in a modern style with a highlander accent. 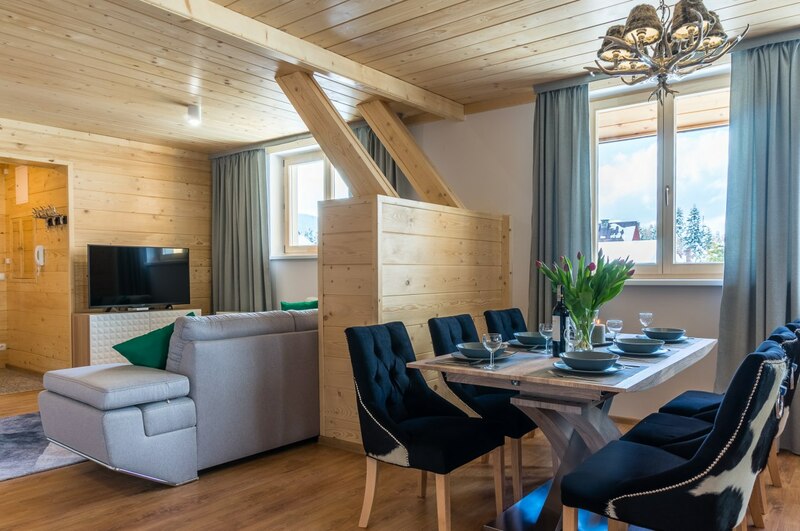 In the apartments, we tried to maintain the character of Zakopane architecture, which harmoniously combines with a modern finish. 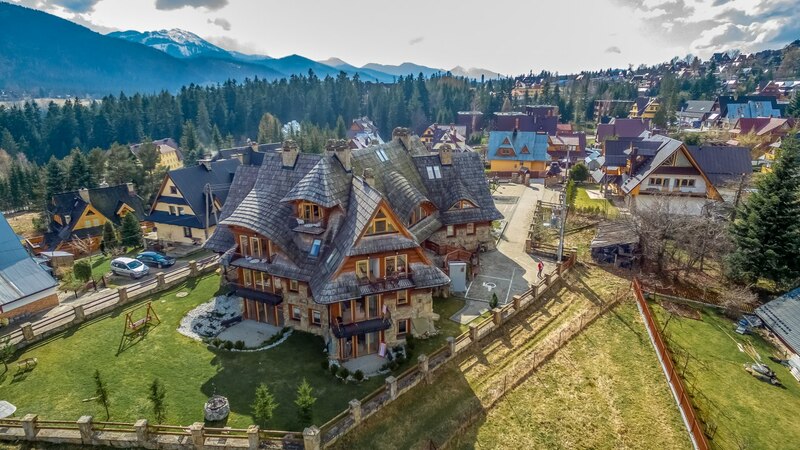 The property has 22 fully equipped exclusive apartments with balconies or terraces, where you can admire the enchanting landscape of the Tatras. We also offer you a sauna and jacuzzi (soon opening), an outdoor swimming pool (in the summer) a playground for children, a garden with a place to relax and a monitored parking lot. 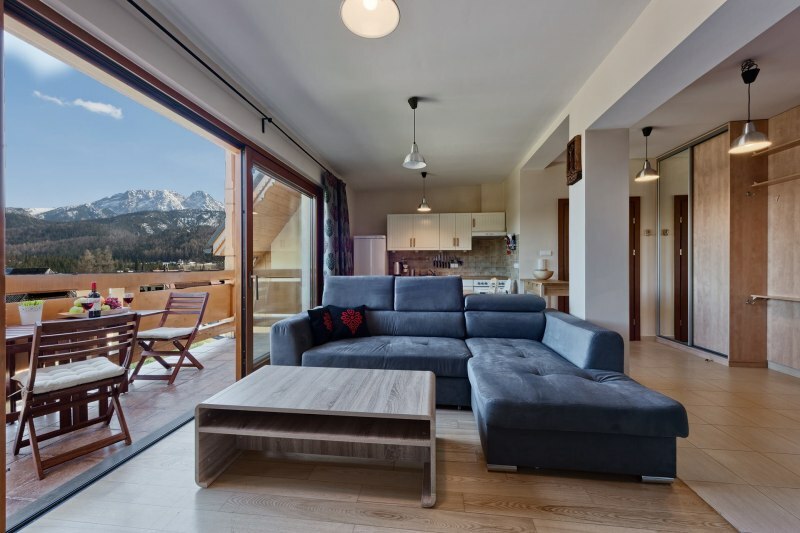 The offer in Zakopane also has independent apartments for people who appreciate both the beauty of nature and the location close to the center. 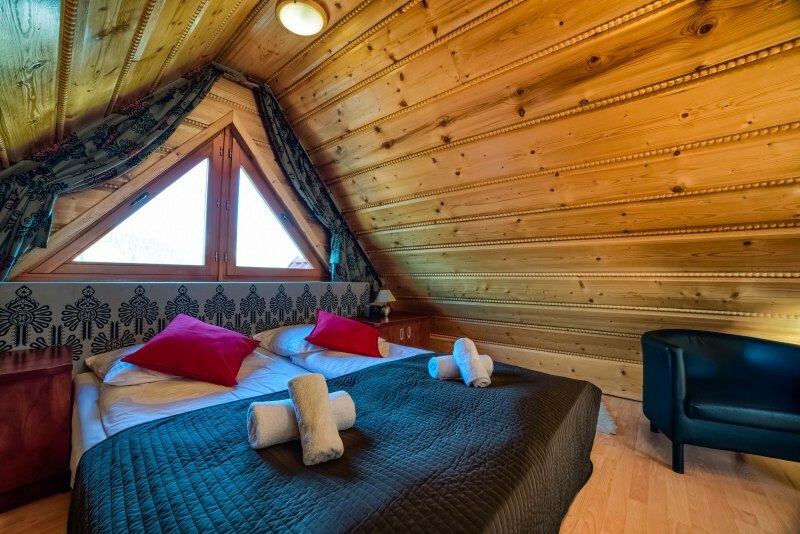 We also invite you to visit the exclusive Delta Aparthotel in Białka Tatrzańska located on the Kaniówka ski slope in close proximity to Term Bania. Details: www.deltahotel.pl We hope that your stay with us will leave unforgettable memories and will make you happy to come back to us. You&#39;re welcome! For me was mindblowing. 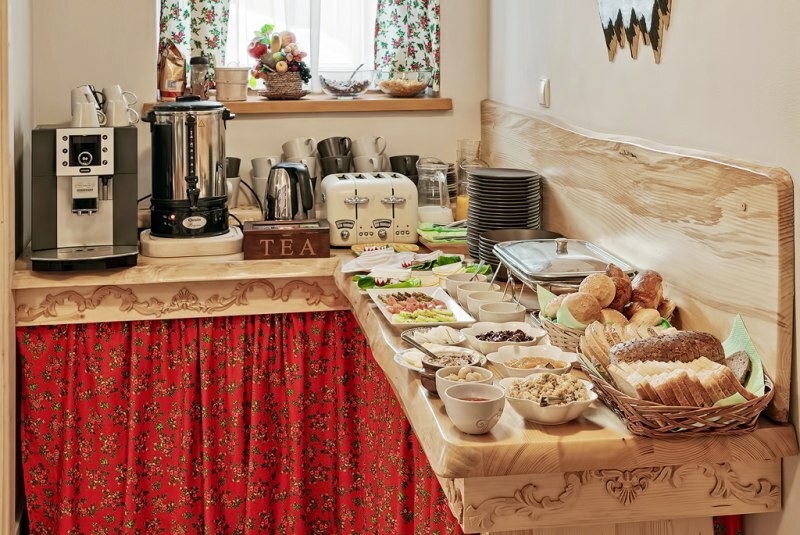 Can be a lie, you can enjoy a good and the perfect accompaniment to hearty breakfast and on the occasion of the room rate does not draws antidumping. Close to everything! 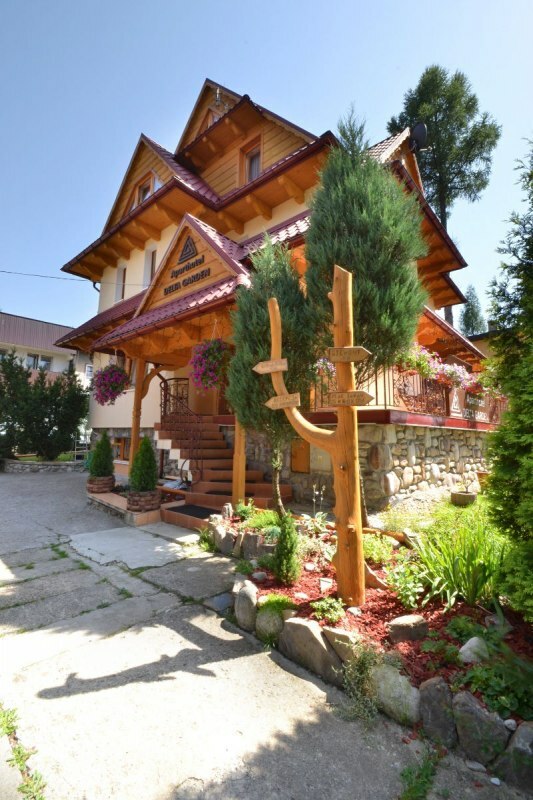 Very good location, near Krupowki. Rooms clean and neat. Breakfast very good and very friendly and helpful :) Recommend ! Hotel very close to Krupowki Street and at the same time in a very quiet place. Delicious breakfasts and smiling support. The rooms and the bathrooms very clean and well equipped. In the garden of disputes playground for kids. Super service, pszyna breakfast. Rooms czyściutkie zwysokim standard. Very close to Krupowki. With a clear conscience recommend!! !